We use the quaint town of Moab as home base on our tour of southeastern Utah. Unpack your bags only once and explore the thousand foot canyons and the soaring sandstone cliffs of this awe-inspiring area. Long known as a mountain bike mecca, this area also boasts some beautiful road cycling. Come explore it with us. Rolling hills with some longer climbs on paved roads and paved bike paths. Moderate to advanced cycling level. Leisurely level with an electric-assist ebike. 6 nights lodging, 6 breakfasts, 5 picnic and sack lunches, 5 dinners, snacks, float trip, guided hike, detailed cue sheets, maps and GPS files, van support & trained guides. Fly in and out of Moab, Utah through Denver. Or consider flying into Grand Junction, CO or Salt Lake City, UT, and then taking a commercial shuttle or renting a car and driving to Moab. "The hotel was excellent. Rooms were huge and well appointed. The website does not do the hotel justice - much nicer than I expected!" 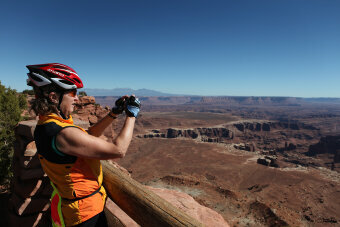 DAY 1: We meet in Moab, Utah, for a bike fitting at 3:00pm for those renting bicycles. We stay in the center of Moab. If you arrive early, walk down Main Street to explore the outdoor stores, bakeries and bike shops. 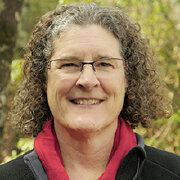 We’ll have an orientation at 5:30pm, followed by a welcome dinner. 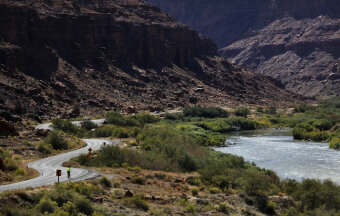 DAY 2: Our first day of riding takes us south along the Colorado River. We’ll bike past soaring red rock cliffs, petroglyph panels and dinosaur tracks. 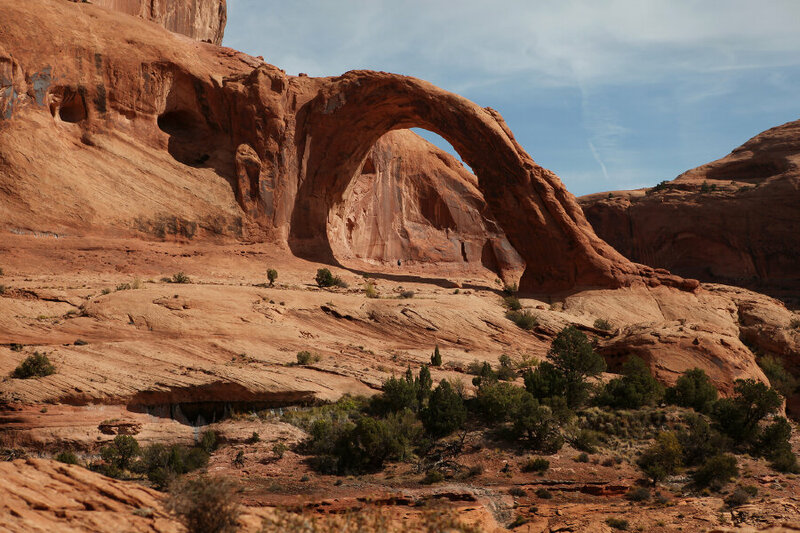 After our picnic lunch, you can see the famous Bow Tie – a pothole arch on the edge of a cliff rim, and Corona – a handle arch seemingly carved from the sandstone. It is some spectacular scenery. 41 miles. DAY 3: Today we'll cycle north along the Colorado River all the way to Hittle Bottom Recreation Site. After a picnic lunch on the banks of the river, we'll go rafting. 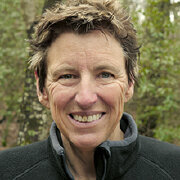 The calm waters will give us a chance to learn more about the geology of the area. It's trace minerals like hematite that cause the stunning red hues. 32 miles. 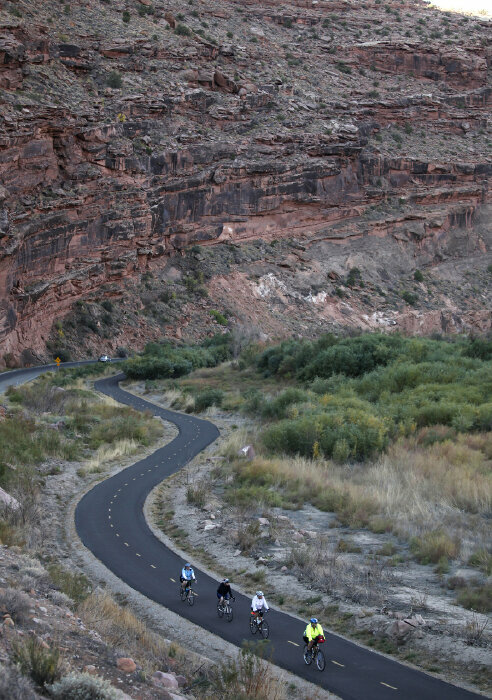 DAY 4: Today's ride will be the most challenging if you do the entire loop, but we can help you bypass the climb at the start with a quick shuttle. 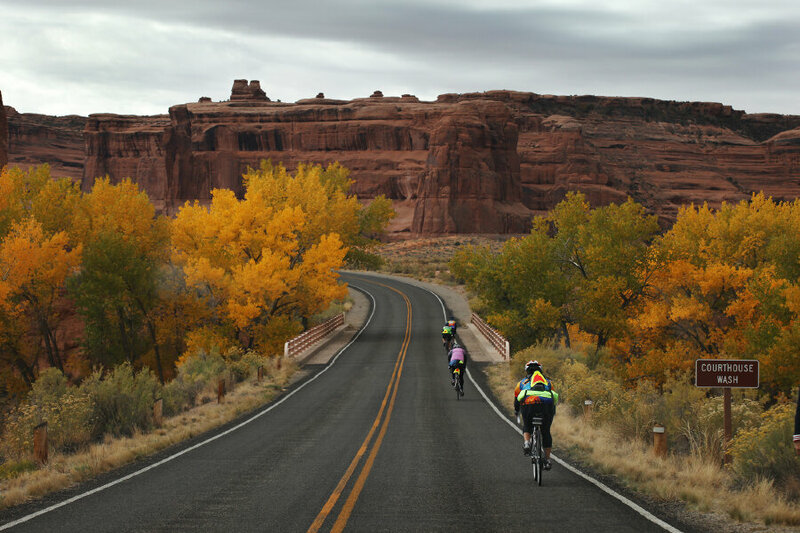 We'll leave the desert behind as we ascend into the national forest of the La Sal Mountains. We'll watch the vegetation change from pinyon and juniper trees to pines and aspens. They'll be in stark contrast to the red rock canyons we've left below. 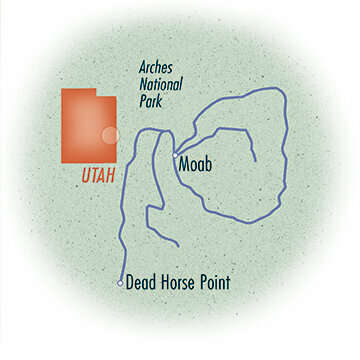 After enjoying the rolling hills at the top, we'll head back down to Moab. 42 or 63 miles. DAY 5: We'll spend the day exploring wonderful Arches National Park on foot. 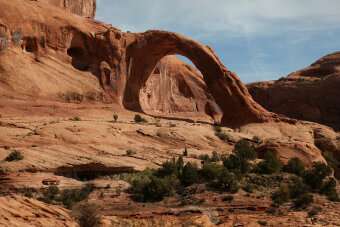 The park is actually a preservation of more than 2000 natural sandstone arches. We'll hike across the red rock ledges and canyons to the most famous one - Delicate Arch. 0 miles. DAY 6: Today, it's back on our bicycles as we head to Dead Horse Point State Park. Probably Utah's most spectacular state park, it's located on a peninsula of rock atop sheer sandstone cliffs, 2000' above the Colorado River. You can look all around you and down into Arches National Park and marvel at a landscape filled with colorful canyons, mesas and buttes. Enjoy a picnic lunch and the beautiful visitor’s center and take a moment to learn more about the fascinating wildlife and history of the area. 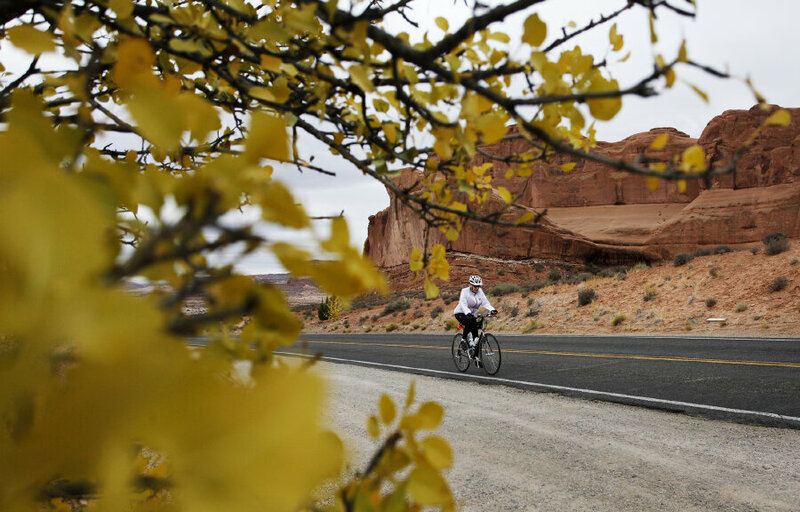 A beautifully paved bike path takes you back to Moab at the end of the ride. Then we’ll celebrate our accomplishments at our final dinner together. 43 miles. DAY 7: After breakfast, we’ll say our farewells. You’ll be free to leave Moab at your leisure. 0 miles.